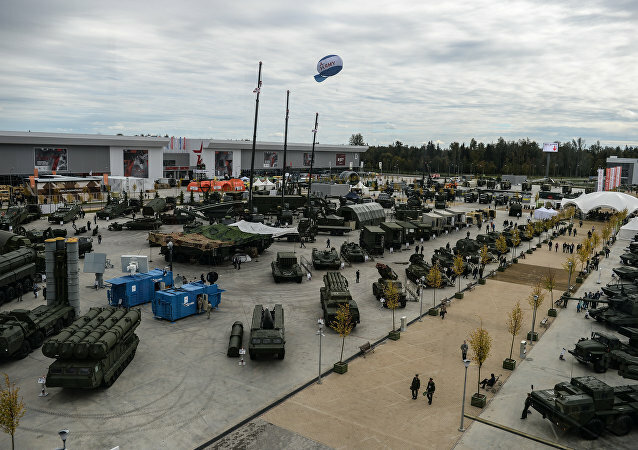 During the Army-2016 military-technology expo now underway outside Moscow, Russia is showcasing its latest weapons systems, with over $2 billion slated to be spent to modernize this country’s military arsenal, RIA Novosti reported citing Defense Ministry representatives in Kubinka. Russia is developing a new generation nuclear-powered naval destroyer that will pack more firepower than anything the US Navy can offer. 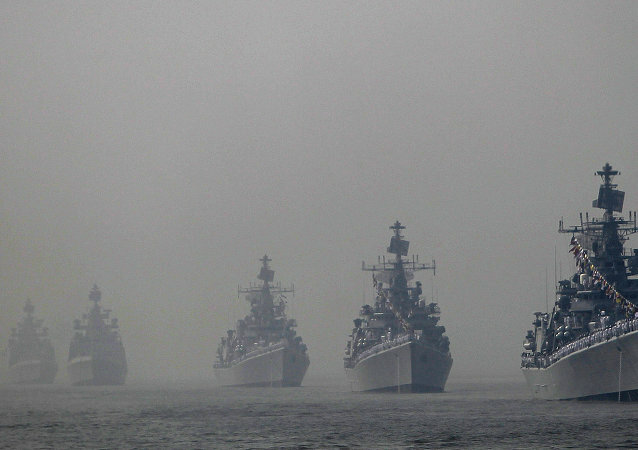 India’s shipbuilding company Bharatu Shipyard, which has a license to build warships in India, has been discussing with Russian and British companies the joint construction of naval vessels, the Mumbai-based newspaper The Economic Times reported on Friday. The Russian nuclear attack submarine, which caught fire earlier in the day, is to be partially submerged to completely extinguish the remainder of the fire on board, according to the United Shipbuilding Corporation. Russia's United Shipbuilding Corporation is ready to build assault ships similar to the Mistral-class helicopter carriers should the country's Ministry of Defense make such a decision. Russian state nuclear corporation Rosatom along with a number of other Russian companies is currently developing solutions to ensure the energy supply for Arctic exploration activities, the company's deputy director general said on Monday. Western economic sanctions have had no significant impact on the construction of exploration equipment in the Arctic; problems may occur only with the use of American equipment, the head of the United Shipbuilding Corporation (OSK) Alexei Rakhmanov said Wednesday. An Indian MiG-29 naval jet landed on a refitted former Soviet aircraft carrier Friday, marking the first such operation since the ship was delivered by Russia to the south Asian nation earlier this year. The construction of a fifth Borey-class nuclear-powered ballistic-missile submarine is expected to begin in late 2014, Russia’s navy chief Adm.Viktor Chirkov said Wednesday. A second Borey-class nuclear-powered submarine, the Alexander Nevsky, will most likely be delivered to the Russian Navy around the end of November or early December this year, Russia’s United Shipbuilding Corporation said Friday. Construction of the largest and most powerful nuclear-powered icebreaker began on Tuesday in St. Petersburg’s Baltic Shipyard. A senior Russian defense official has unveiled “new rules” for the country’s military shipbuilding industry in a bid to shake up warship production, Kommersant daily reported Friday. Construction of warships must be carried out under unified contracts including the cost of their weapons systems to ensure their prompt delivery on budget to the Russian Navy, Deputy Prime Minister Dmitry Rogozin said Wednesday. Russian President Vladimir Putin said Monday that contracts for 85 percent of the state’s defense procurement plan had been signed with manufacturers, signaling an improvement in official cooperation with the defense industry, which had gotten so strained several years ago that it stymied arms deliveries to the military. 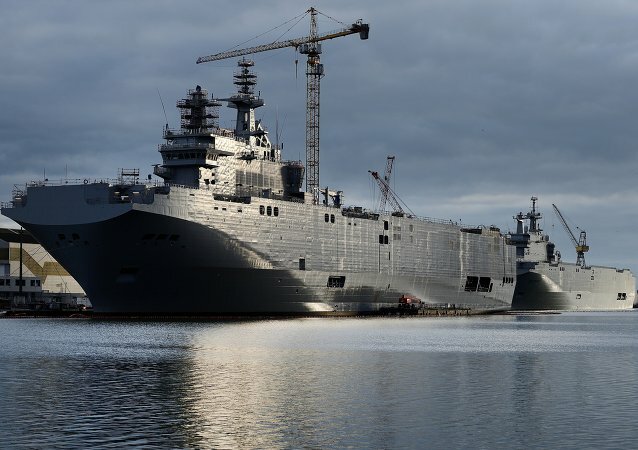 The Russian Navy's first Mistral-class helicopter carrier will be delivered from a French shipyard on time in October, a senior government official said on Thursday, days after another official claimed it would be delayed. 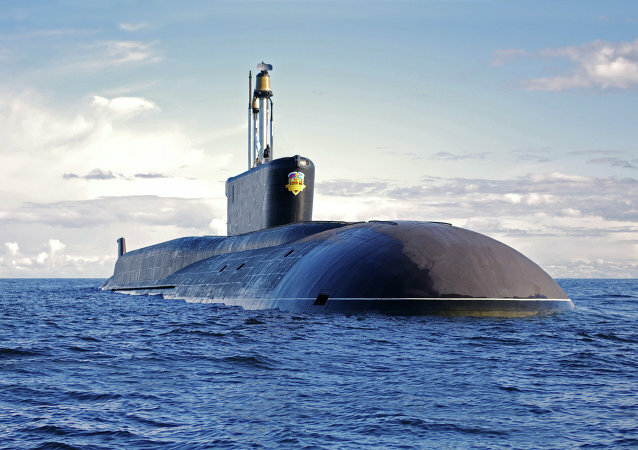 Former Russian Defense Ministry officials forced shipbuilders to underprice nuclear submarine contracts, which nearly scuttled the 2011 State Defense Order, a senior Russian official said Friday. Defense Ministry contracts signed under former Minister Anatoly Serdyukov are to be thoroughly examined and if necessary, audited, Deputy Prime Minister Dmitry Rogozin said on Friday. Russian President Vladimir Putin criticized the United Shipbuilding Corporation (USC) on Tuesday for delays in delivery of warships to the Russian Navy and demanded the shipbuilders improve efficiency.